To keep the avocado from browning, mash with a spritz of fresh lemon or lime juice. Avocado toast has been around for a long time. But lately, it seems to have exploded in popularity. I like to imagine it’s an extension of the gourmet toast craze, often accredited to the tiny little Trouble Coffee Company in San Francisco. But wherever it started, and whoever conjured this trend: bless them. Avocado toast is one of the simplest and most satisfying eats I know of. My go-to breakfast. My quick hipster lunch. A perfect dinner for those nights when I simply can’t gather the energy to kitchenize a full dinner. Schmear a little avocado onto a piece of toast, and suddenly you feel like all is right with the world. And all is pretty okay with you, too. Because you have a toast. And you have an avocado. And together, you made many bites of tasty magic. 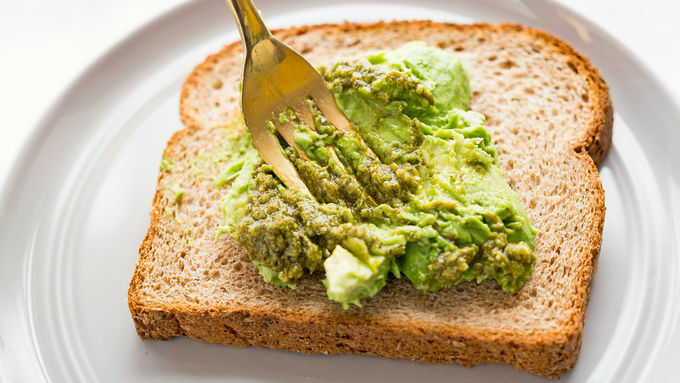 Add to that one more easy find: a dollop of pesto sauce, which lends hearty, herby flavor to a simple piece of toast. 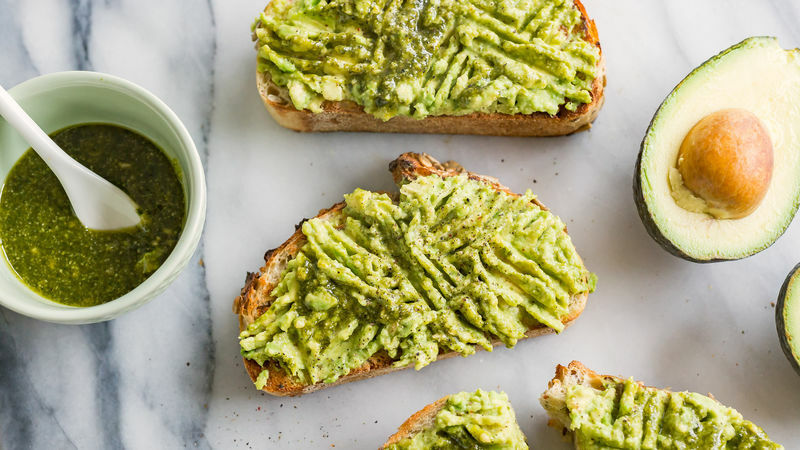 Now trending in my house (possibly forever): Avocado Toast with Pesto.